The team at Waterford at Mandarin Apartments in Jacksonville, Florida held their Spring Festival on March 28th. It was a fun filled resident event that raised $189.00 for Susan G. Komen. The festival had snow cones, cotton candy, a live musician, carnival games and a 24 ft. inflatable slide for the kids (and some brave adults). 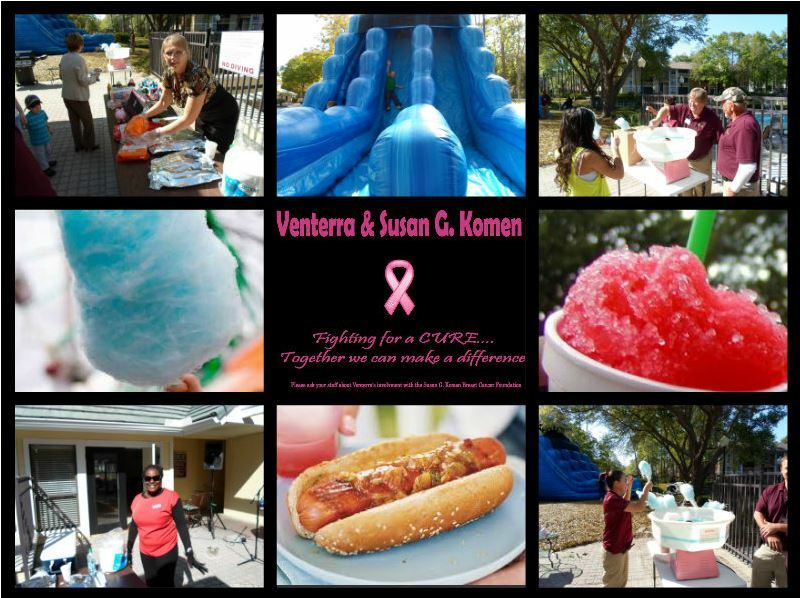 The team sold hot dogs & hamburgers for $1.00 per plate with all proceeds going to Susan G. Komen!